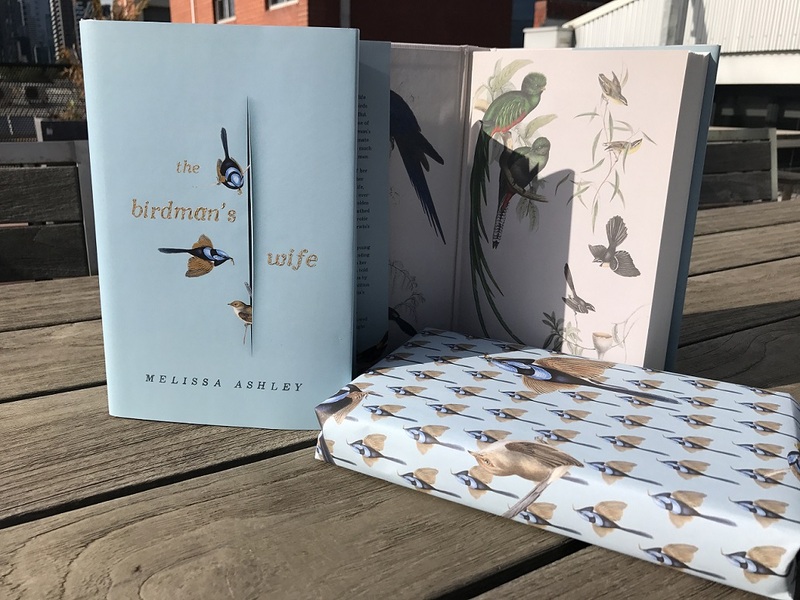 We’re incredibly proud that Melissa Ashley’s The Birdman’s Wife has made the Australian Book Industry Award’s shortlist for General Fiction Book of the Year. We did something a bit bold this year when we did our award entries for the ABIAs and decided not to enter the ‘Small Publisher’ award categories. We have always maintained that book-by-book we can compete with anyone, and it’s a mindset we encourage all our stakeholders to adapt. We also think that considering ourselves as a small publisher is a self-fulfilling prophecy, whereas we want to be a big publisher but still retain the spirit and flexibility of a small one. This might seem a bit cocky, but the fact that we’re alongside Harper Collins, Pan Mac and Penguin/Random House for the General Fiction Book of the Year category justifies that decision for us. It also makes me wonder if Transit Lounge would have taken home the Miles Franklin with Black Rock, White City if there was a ‘Small Publisher’ category? This is a reflection of how dramatically the publishing landscape has changed in recent years. It’s consistent with our philosophy of trying to be ‘the most optimistic publisher in the country’ but it’s not just wishful thinking. In the last few years we’ve seen huge bestselling books across all genres from fellow small publishers like Black Inc. and Scribe – proving that hunger and dynamism can make up for any shortfall in industry ‘clout’. We are very lucky to have such a strong indie scene in Australia, from publishers to retail, and we’re delighted to be part of a successful trend. It’s a good-news story worth celebrating, and let’s hope more and more agents and authors see the significant upside of signing with indie publishers. Hats off to all the ABIA shortlistees, but especially to the all-female cast in the General Fiction category – Jane Harper, Liane Moriarty, Caroline Overington and Fiona McIntosh. Congratulations also to the authors and publishers whose fine books were shortlisted for the Small Publishers’ Adult Book of the Year award. Methinks you may have made the judges task that little bit easier. But roll on a time when there’s no need for a ‘Small Publisher’ category at all.